I finally finished Doctor Kvorak's Obliteration Game after completing the final level which had a huge difficulty spike (I cursed at the screen many times) - it ended up taking a whole two hours and this is for a game where I can usually complete levels in 30-45 minutes. It had a happy ending though and everybody loves a happy ending, right? I also managed to get time to review the game so if you're interested, it's over here. Again, thanks to Freekstorm for the review key. Yes, I actually finished a second game off my Pile of Shame: Tales from the Borderlands. I've been meaning to play this game for a long time, and despite it not being the oldest game off my Pile of Shame I figured I was in the mood for a casual, story-rich game and I got so addicted to the game that I managed to finish it over a few days. It's definitely the most humourous game I've ever played by Telltale (well, discounting games like Tales of Monkey Island and other adventure games from the pre-The Walking Dead era) and I like it. 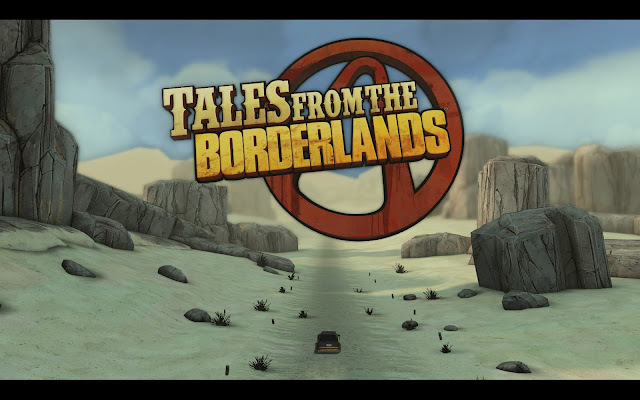 They've done a good job capturing the same tone of the Borderlands series and I'm loving the soundtrack (both the in-game soundtrack by Jared Emerson-Johnson and the licensed music). I'm also a fan of the unreliable narrator trope, which is in full force in this game. I did experience some issues though, mainly to do with huge framerate drops at least once every episode, which was quite annoying and occasionally there are scenes that appear to be rushed (e.g. a presumed dead character reappears and no-one bats an eyelid), but those were the only things that I could really fault with the game. Expect a review on your favourite PC gaming blog on the Internet, soon (no my blog is not called "Soon")! Since I've managed to complete not one, but two games that were picks by Lanna (which is basically her delegating the choice of game to me) I've decided to start another adventure game: The Testament of Sherlock Holmes. The game was released 5 years ago now and it kind of shows with wooden animations, low quality textures and lip-synching issues. The gameplay itself isn't too bad though and it actually seems to be a hybrid of point 'n' click adventure (with the ability to go to first-person and third-person adventure mode) and hidden object adventure (as you have to examine the scene closely for clues that will help build your case). Anyway, I like most things Sherlock Holmes so it's been good enough to maintain my interest so far. Unfortunately I didn't get around to playing Company of Heroes 2 this week which means I'll try to ensure I put in the hours next week. I managed to complete another couple of levels this week and I think I'm on the penultimate level for Chapter 3; there's Chapter 4 and an epilogue after this. I must say that the levels are definitely becoming more challenging now and it's taking around 30 minutes to complete each one now.